Editor's Note: This is Part 1 of a two-part series. Stay tuned for Part 2! If a church is small, does that mean God's favor isn't there or that the pastor has failed? Not always. Given a choice, I'd attend a large, impactful and vibrant church. That's simply a preference of mine, though I understand why many others prefer smaller churches. Additionally, given a choice, I'd prefer to lead a large, impactful and vibrant church instead of a smaller one. The key words are "impactful" and "vibrant." Over nearly three decades of ministry, however, I've learned that large does not always equal successful, small doesn't always equal failure and a lack of numeric growth doesn't always equal stagnant. It's time we overcome the stigma of the small church. The ekklesia is a gathering of people in the region under governmental authority in order to receive apostolic instruction. More simply, it's people coming together under God ordained leadership to fulfill a mission. So, yes, people are needed if you want to lead a church. Some of my most memorable church planting moments include an empty 700-square-foot room in Manitou Springs, Colorado, where I'd pray, usually alone, in the early stages of our church launch there. Eighteen years have passed and a lot of lessons have been learned, but those hours on my knees or pacing around that room were the foundation of my church planting experience. 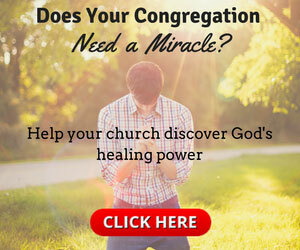 I'll eliminate the countless remarkable stories, miracles, supernatural encounters and other happenings that spurred the church development process, both there in Manitou Springs and also in Detroit, where we planted our second church. I've written about these miracles and wonders in some of my books (burton.tv/resources), but suffice it to say, I'm humbled at how God moved. In fact, I'm stunned at just how much God did. I (and many others) will never be the same, and for all eternity we will be able to praise God for what he did in those seasons. To this day I wonder if my two church-planting exercises were massive tests—for me. I know for sure that both contained many tests, but my question is about the comprehensive experience. Did God call me to plant two churches mostly to develop me personally and to test my heart? Certainly there were enough stories of impacted lives to fill many books and countless articles, so I don't question whether the ministry was legitimate or not. I'll be forever wrecked by the transformation that resulted in people in those two regions, in those two seasons. Watching lives supernaturally transformed before my eyes caused tears to flow. Yet, as God truly branded many people with His fire in those many years of ministry, I do wonder if God was mostly testing me. Would I be more interested in growing my legacy, my ministry, my church and my reputation—not to mention my bank account—or was I truly in it for love and to minister to the heart of God? In both Manitou Springs and Detroit, we saw the churches grow. People to this day count those years among the best of their lives. God was drawing people together, and we were contending for revival together. In both Manitou Springs and Detroit, God tested my heart. It was difficult, to say the least. Crushing even. To simplify what He was doing, He called us to go deeper and to raise the bar higher. The cost of consecration and the call to fervent intercession became a much greater focus (and we were already known for being an edgy, intense ministry). While we had amazing people in both churches, I knew the decision to become even more revival focused, even more intercession driven and even more devoted to a consecrated, holy lifestyle would result in many people disengaging. I knew it. I was troubled. God was calling me to "intentional failure." I'll never forget the key moments in both places when God nailed me to the ground and directed me to surrender all, including my reputation. There were many cries and questions during the many hours of prayer in those two defining seasons in Colorado and Michigan. If I obeyed God and introduced a new-wine, Reformation church that was very unique and specific to our particular mission, those who were mostly invested in the church experience for reasons other than revival, reformation, intercession and revolution would most definitely jump ship. That would be almost everybody. Literally. No exaggeration. I was right. That's exactly what happened. I could have stayed the course and watched the churches continue to grow and "thrive," possibly into several hundred in number. I have no doubt that I could have chosen growth over God, and that freaks me out. It would have been very easy to spiritualize my decision and avoid the pointed fingers and accusations of failure by continuing the way we started. And I would have failed some of my most critical tests. I would have satisfied people and rejected God, and the church would have grown. That is absolutely terrifying. Attempting to transition a passionate, Spirit-filled, fiery church into a church that's even hotter, more costly and results in a terrifying tremble in our spirits is not for the faint of heart. You see, there are many who absolutely love to warm themselves by the fire, but very few who are willing to lay across the fire as it consumes their flesh as a sacrifice to the one they love. 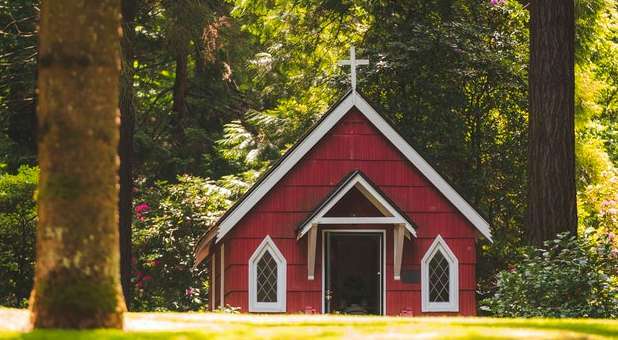 If small churches have a stigma attached to them, and failure has a stigma attached to it, failed churches most definitely have a stigma attached. But why? One of the greatest fears man has is that of failure. It invites scrutiny, accusation and mocking—but society's greatest leaders embrace a culture of failure! The goal isn't to look like you know what you are doing, the goal is to experiment, try, fail, try again, grow, have epiphanies, gain knowledge, fail again and ultimately succeed! Success doesn't develop experts nearly as well as failure does. If we understand the scope of our project, it's actually quite insane to presume we will accomplish it without significant and repeated failures. Yes, you are going to fail. Go ahead and wrestle with it now, you can't avoid it. I don't mean ultimate failure, of course. But, I do mean that you will pray much, do your best to gain insight from God, consider your best options, seek wisdom from others and then move out with at least a measure of confidence—and you will experience failure!